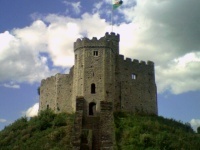 Cardiff is home to many of the top tourist attractions in Wales. The Cardiff Castle with its Roman, Norman and Victorian history, and the St Fagan's National History Museum, an open-air museum which is said to be the most popular heritage attraction in the country, are highlights. The Wales Millennium Centre; one of the best performing arts venues in the UK, and the 12th-century Llandaff Cathedral, are also notable. Cardiff is a popular destination for rugby and football fans from all over the world, who are not deterred by wintry weather when they flood into the city to support their favourite teams at international matches held at the world-famous Millennium Stadium. 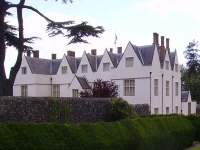 The National Museum and Art Gallery contains a world-class collection of art and artefacts, and Bute Park and the Cardiff waterfront are lovely places to stroll. Like many old UK cities, Cardiff has its share of ghost stories, and many tourists like to take one of the night-time ghost tours available in the city. 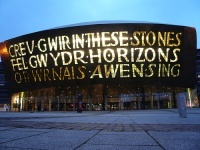 Cardiff is also beautifully situated and surrounded by the famously lovely Welsh countryside: one of the best places to experience this natural bounty is the Pembrokeshire Coast National Park, which is just a short drive from the city and home to wonderful beaches and a picturesque coastline.